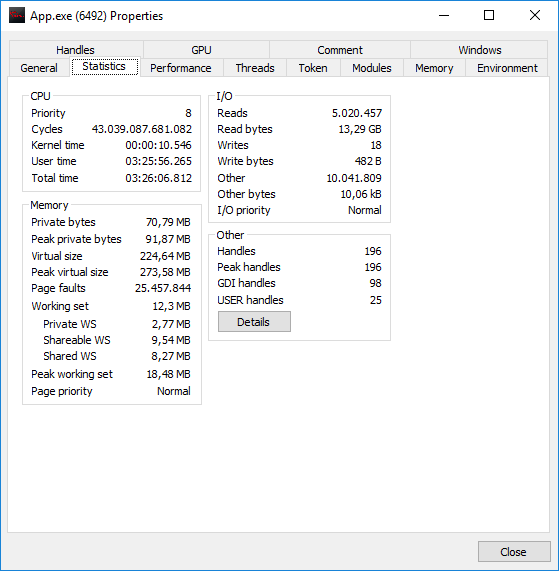 APP.exe needs an entire re-write due several critical problems! sadly I never got any reply on my eMail so that's why I'm here. The Software for the RIPJAWS MX780 is nothing but horrible. Almost none function really does what it promises and it causes the system to decrease your SSD life for unnecessary writes and reads which also can be shown with LatencyMon -> it results in more page faults. My OS. 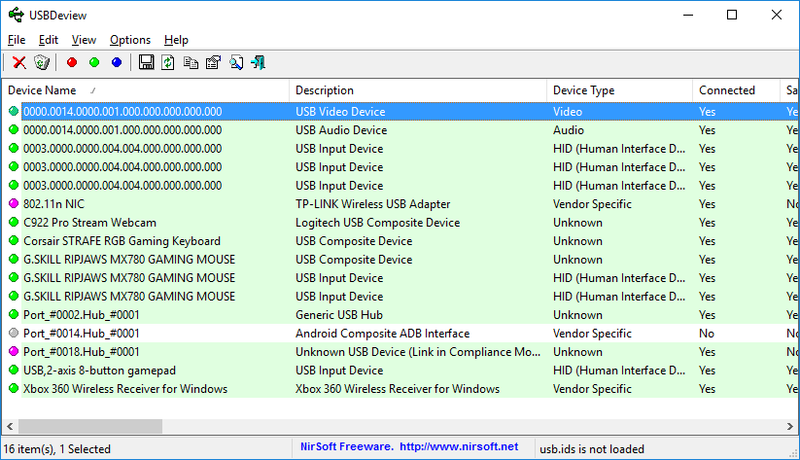 is Windows 10 LTSB 1607 with latest Software and Firmware (as from Homepage: SW 1.01 FW 21). As a teporaily workaround I'm forced to disable app.exe from autostart. Also several functions like update check just doing nothing, you not get any firewall notification and it starts and stops immediately after 2 or 3 seconds which shortly also 'lags' your mouse because it rises CPU cycles. So overall this app needs an re-write from the scratch. It's slow, some function's aren't functional and it causes massive CPU/Memory spikes and at the end your SSD life gets shorter because it want's (after some time) write constantly for nothing data which mostly happens after a restart. The page faults aren't errors, and are common to running software. 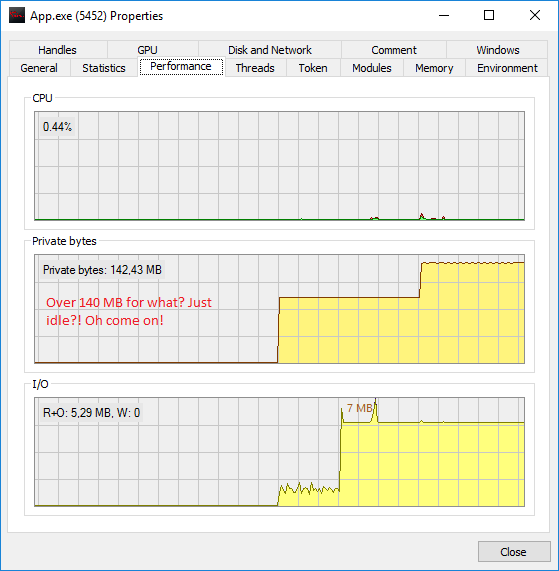 So the real issue is that we need to confirm memory usage from Task Manager. Also, Check Update is for updating the device firmware. While checking the mouse firmware, the mouse cursor would lag for a second or two. That's normal. If the firmware version matches the software, then the update would exit and no further actions would be taken. There's no firewall notification because it's not accessing network connections. We understand the button naming is confusing and will be changed in a future version. Might want to do reset the mouse settings from the software setting, uninstall the software, make sure that the .NET Framework 3.5 and all its updates are installed, and then reinstall the software. If the .NET Framework isn't updated, then there might be possible memory leaks. I'm not really happy with this answer, since it's reproducible all the time here. 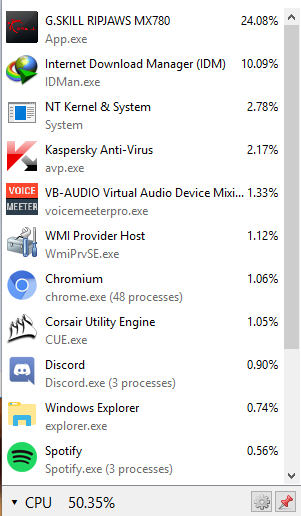 Page faults are common I do agree but this is ridiculous cause there are more than on every software I run including explorer.exe which is really required all the time, while App.exe (horrible name btw) does nothing except idle. The driver itself does the entire work. The GUI is nothing except a toggle for this, so it's beyond me why it causes that many resources for nothing. About the Update button, I also disagree here. There should be at least an popup which tells you what's going on. There also should be no lag to check if app.exe uses xyz file version, instead I guess you implemented to check the driver directly which is not good cause it lags then. Also no other software does this on my PC, I use a Cosair keyboard with it's software and when I check for an update it checks the software version (which includes the driver) and another firmware button which does not ends up with any lag. Whatever you did here it is not good. 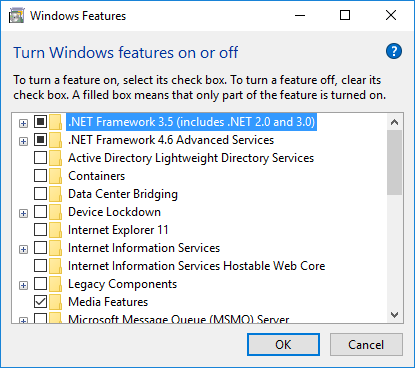 Windows 10 by default doesn't even enabled .NET FrameWork 3.5 (you need to check the mark to enable it and reboot) cause it uses (by default) 4.+ so i consider G.SKILL merge this, otherwise you need to activate it under 'optional components' which is also not good cause .NET Framework 3.5 is a hell of a mess. Currently we are on .NET Framework 4.7. Another thing I've found is that the device gets wrongly detected 3 times? I dunno how you tested it but it's definitely bad coding here in a lot of ways. This needs to be fixed urgently. * Let the app.exe run over 8+ hours and see yourself. It causes massive spikes. When I did my screenshots it was running for only 2 hours, it rises up up to 12 mio page faults+ So you really gonna tell this is expected behavior? Not even games use that much. In the meantime I try to re-install the software, firmware and mouse. But I have no hopes since I already did that! Your concerns are well founded. We will definitely let our software team know about this. 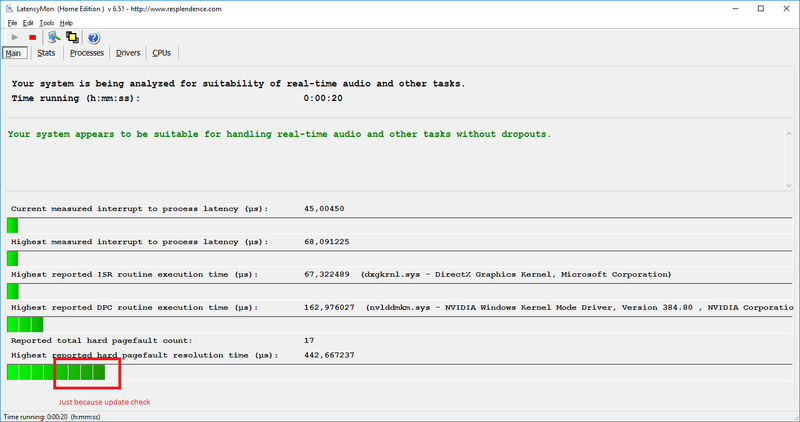 Regarding the driver/GUI workload, it may be true for most mice, but our GUI may handle some tasks that are non-standard mouse driver related, like syncing data with Windows. Although we will have to ask the mouse team for more specific information. In any case, we're making the switch from C# to C++, which should help with the issues that're caused by the .NET Framework. Regarding the Update button and the rest of your feedback, we'll pass it on to our software team and see what they can do about it for future updates. Thank you. it's been over 1 year and nothing happened, the software seems as abandoned as the G.Skill Homepage and the support. * The Homepage same like the downloads don't even use HTTPS. * The promise that the software gets an re-write update (which is urgent since it's worst then ever with the latest Windows update) not happened, over 1 year is enough time to solve the issue don't you think? That's definitely unprofessional here and I will and can't recommend to support or buy any G.Skill products, I feel betrayed the hardware is maybe not bad but the software and the support is simply horrible (from my experience) and there was no contact from G.Skill side in order to address this. I write now on my Blog about this, because it's ridiculous why a serious problem won't get fixed after such a time.